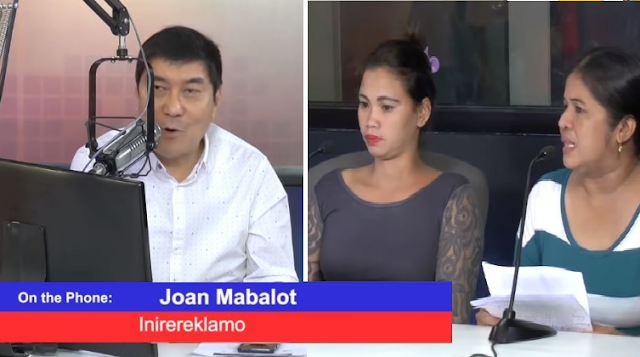 Chairwoman Gloria Madriguerra took to Raffy Tulfo In Action in order to ask help from the radio television show regarding a woman who was spewing several hurtful words and allegations about her across the social media platform Facebook. 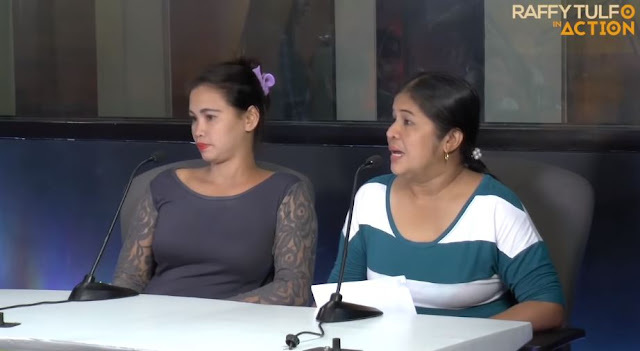 Joan, who was the woman going on and on about Marife and Gloria Madriguerra on social media, had previously loaned money for Marife to buy a tricycle. She went on to file a complaint about Marife that was not valid at that time because the transaction happened in a different barangay, however they did their best to resolve it anyway. 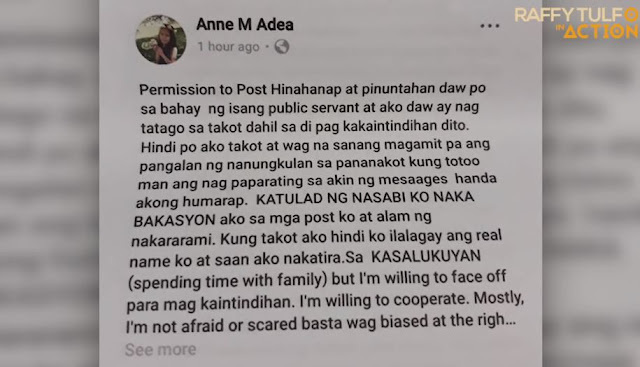 She then filed the same thing at a different barangay with much to say over the internet. Joan Mabalot was then advised to stop her rants because libel charges may be filed against her. “It was a bugso ng damdamin,” she said. 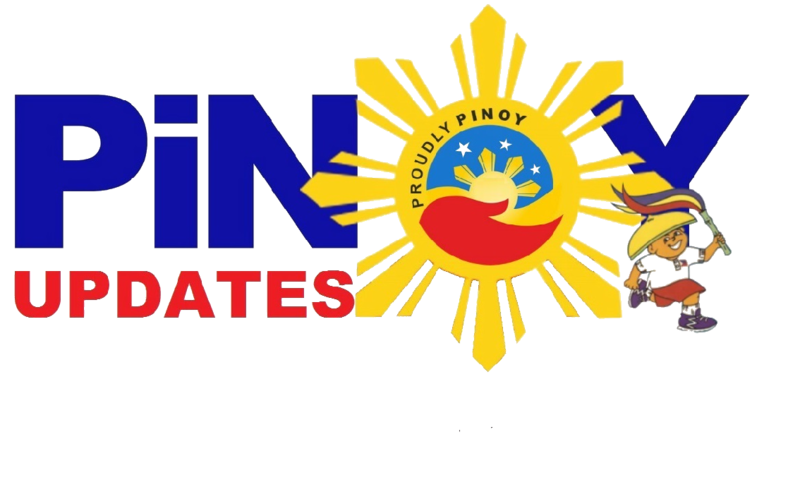 Their issue had been previously resolved in a different barangay and then the woman, Joan, went to a different precinct to file the same complaint that had already been resolved by someone else before Chairwoman Gloria Madriguerra. 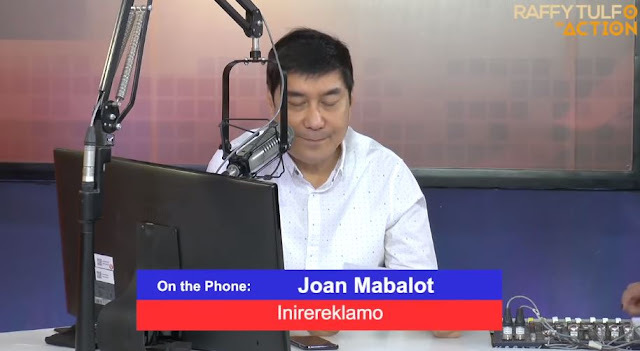 A visibly irked Raffy Tulfo then went on to say, “Ma’am okay lang pong mag-ingles paminsan minsan pero huwag pong dire-diretso kasi hirap po akong intindihin eh” Raffy said, unsure whether he was implying that Joan’s English was hard to decipher for her grammar and misuse of words or if Raffy Tulfo does not speak it fluently as her. 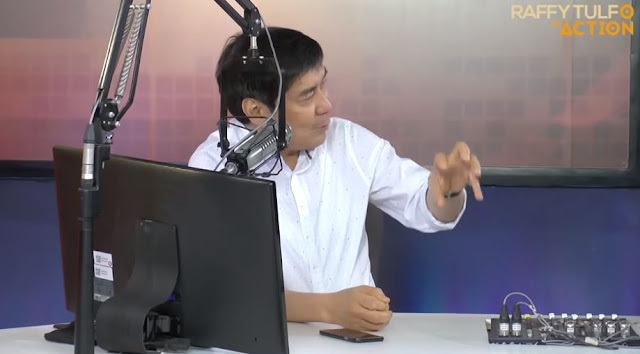 Joan then made her spiel about how sorry she was and that it was just a “bugso ng damdamin” after all, without hesitating to go on and on about how much jewelry he had. 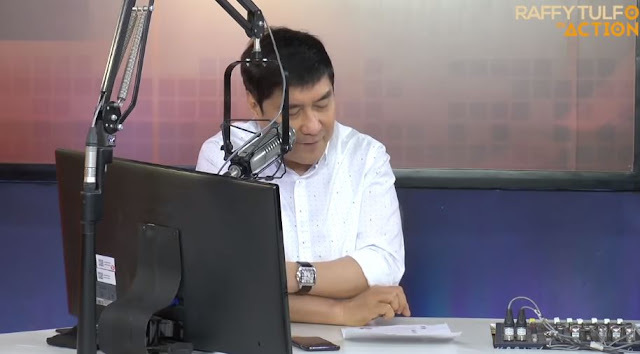 This was when Raffy Tulfo interrupted her again.